Business Insurance | Beaver Insurance Agency | Serving the personal & business insurance needs of Arizona since 1933. Whether you've just started a home-based business or your business is established and growing, Beaver Insurance Agency can help you protect your livelihood against the unexpected. We offer tailored programs for all types of businesses and professions in West Arizona. 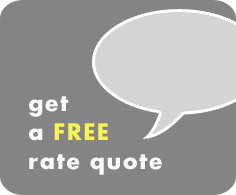 Call us at (928)669-2255 or start a Free Rate Quote. We can review your insurance requirements and create a portfolio to protect your assets and minimize your risk of loss.